Kate and Oli: Focus On...Storeyshop And A Giveaway! 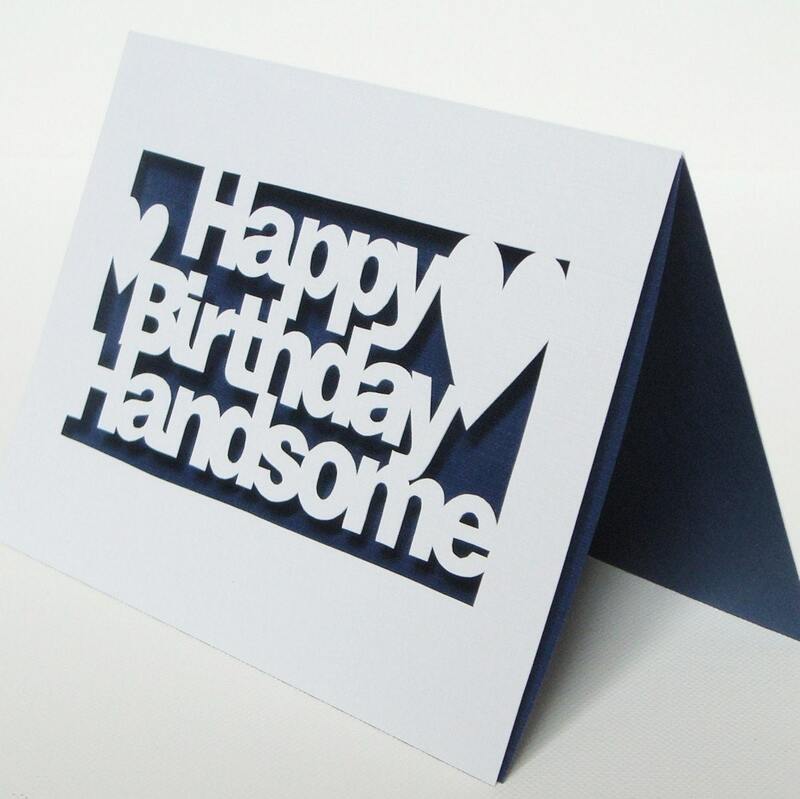 One of the first purchases I ever made on etsy was a hand-cut birthday card for Mike's 25th birthday. Alas, it was from a shop that is now closed, but when I went looking for similiar products, I came across Storeyshop. 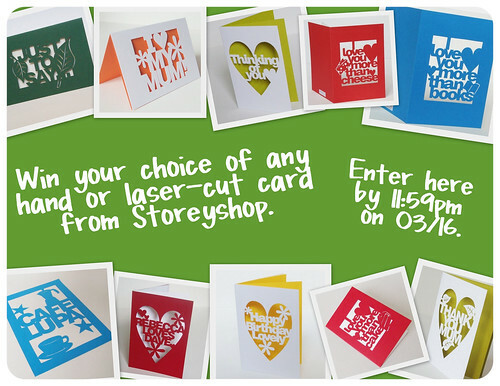 Helen, the founder of Storeyshop, is so talented with a knife that it's a bit scary! :) Read on for her interview and a fun giveaway! Storeyshop is me, Helen Bonner. I am 28 and I live in rural Northumberland in the north east of England with my finace, Dave, who will be my husband in only 6 weeks! My childhood pet chinchilla, Seb, lives with us too. He's very old but still going strong. I love paper and card and it's my main medium in my work along with my tools; various different craft knives. I also like picking up lovely bright pairs of socks to make monkeys with when I am fancying a change and to work from the sofa rather than my desk! A friend at my old job (working as a designer on a national magazine) told me about Etsy when I was telling her about my dream to have a more 'hands on' creative career. I haven't looked back since. Thank you, Ann! My inspiration comes from all sorts of places but, for my cards, I tend to try and think of creative greetings that people might want to send to each other. I have been trying to come up with some new and original ones lately. I think what cards I'd like to send to my friends and family and go from there. I also like to just start drawing or designing and see where it ends up. Where lots of customers mention how much they like to frame my cards, I have recently been inspired to start offering personalised posters too. Customer feedback is great! I like to listen to the radio when I am crafting with a mixture of discussion/talking and music. I have been listening to quite a lot of classical and lovey music lately too to try and pick some for our wedding! If I was an animal I would be a cat. I love cats and they get to find a warm and sunny spot to snooze in all day! My favourite piece of my own is probably my 'I love you more than cheese' card. It relates to me perfectly and other cheese-lovers seem to appreciate it too! I read lots of blogs! I especially like Rikrak Studio, Fleur Avenue and Oh Joy! I really need to spend more time on my blog and that's the plan in the coming months. Helen also makes super cute sock monkeys and beauty bags! - To be eligible for entry, you must be a follower of my blog through google friend connect or through your preferred RSS reader. - Make sure you leave me a way to contact you if you win. - Please leave separate comments for each entry. Head over to Storeyshop and choose your favorite item. Come back here and leave a comment with your selection. 2. Tell me (and Helen) what sentiments you'd love to see on a card or poster. Fine print: Giveaway begins when it is posted and ends at 11:59pm pacific standard time March 16, 2010. A winner will be selected by a random number generator on the morning of March 17, 2010 and will be emailed promptly. Storeyshop will ship anywhere in the world! 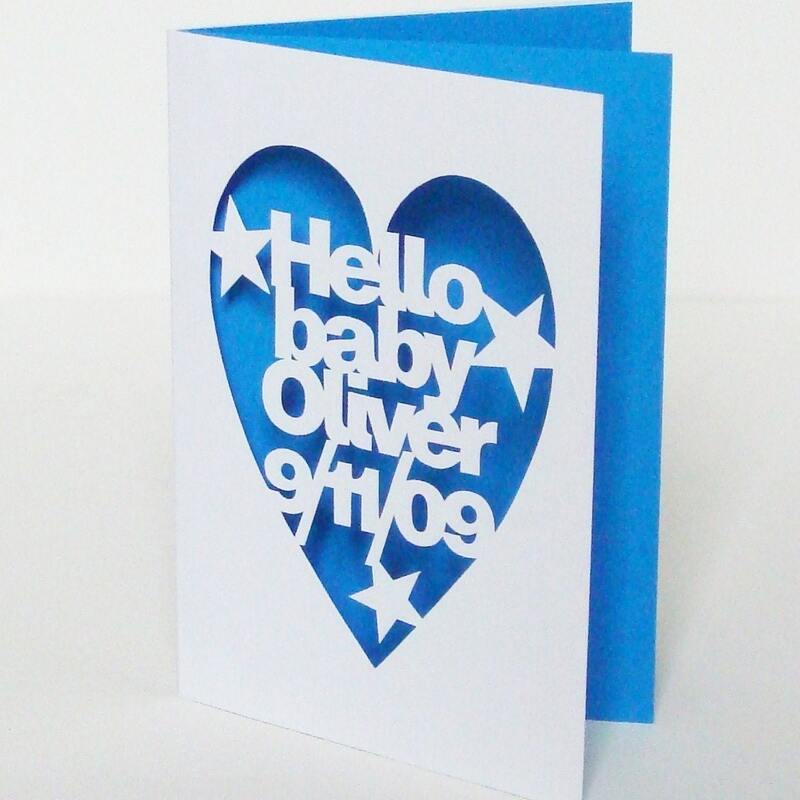 My favorite is the Personalised Hand-Cut Wedding or Anniversary Card! If I won, I would give this to my fiance on our wedding day with a sweet personalized message inside, then keep it in our wedding scrapbook so we have it forever! I'd love to see more wedding related cards, cards asking girls to be bridesmaids, thanking mother/father of the bride/groom, etc. 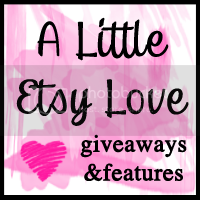 ooh, fun giveaway & interesting interview! i like the baby cards, because seems like i'm always buyng welcome baby cards & it's difficult to find ones that are more modern & less "cutesy." I follow the Storyshop blog! My favorite is the Hand-Cut New Baby Card (pink w/the bow on the bottom). So cute! I'd like to see cards celebrating dad. 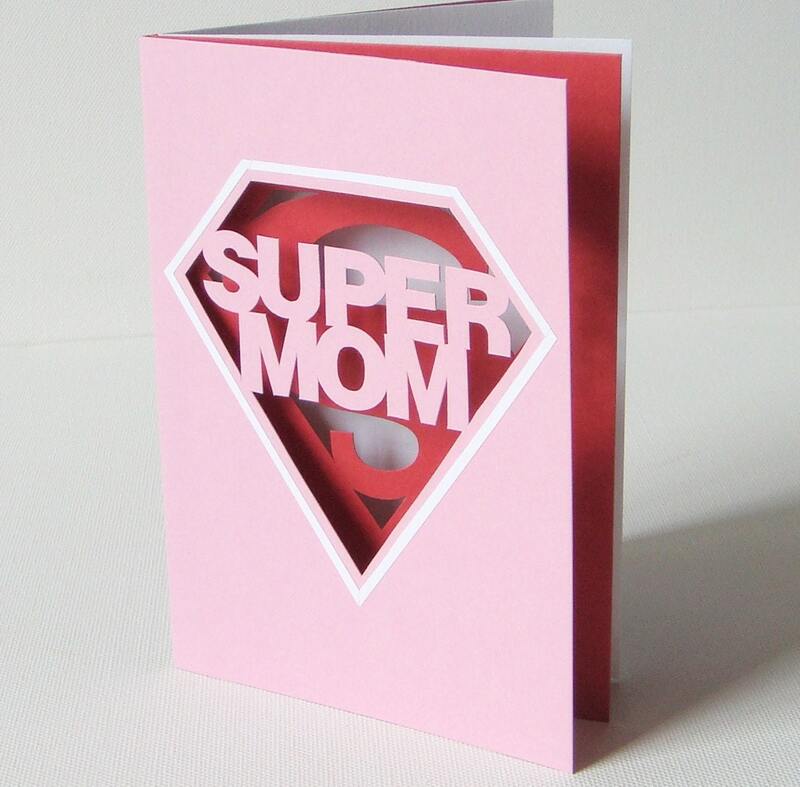 There's Super Mom and I think a Thanks, Mom, but no dad. I love the "Mum you're a star" card! I love the "Thank You Mum" card-perfect for Mother's Day! The Purple New Home card is my favorite! I would love to see a "Just Thinking Of You" card! I love the Hand-Cut New Baby Girl Card. So pretty! I'd love to have a "blessings on you" type of card. Or "good luck in your future endeavers" for a post-high school/college graduation card. I love the "I love you more than tea" card. Anyone who knows me knows how much I love tea, so if I was to give someone that card, it'd be a lot! I'd like to see some "missing you" cards. I love the super geek card, I have a few friends that would be perfectly suited. Also like the hand cut poster idea! Oh and I am following on Google reader. 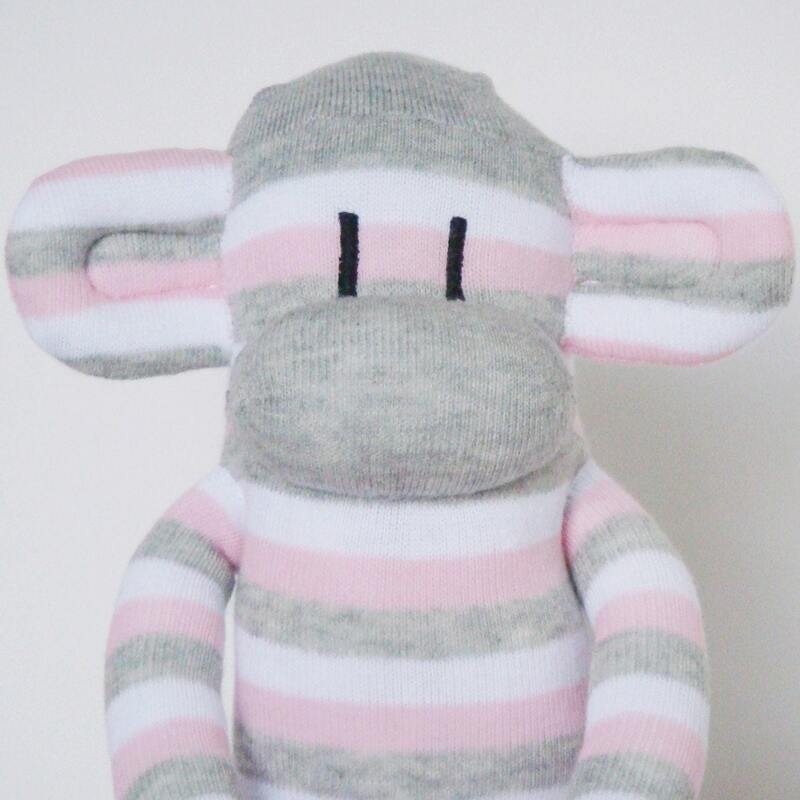 I love the Rainbow Stripey Sock Monkey! Thanks! I had to laugh at the Super Geek card - it would be perfect for my husband! I follow Helen on Twitter (dspdavey). I follow Kate and Oli on Twitter (dspdavey). 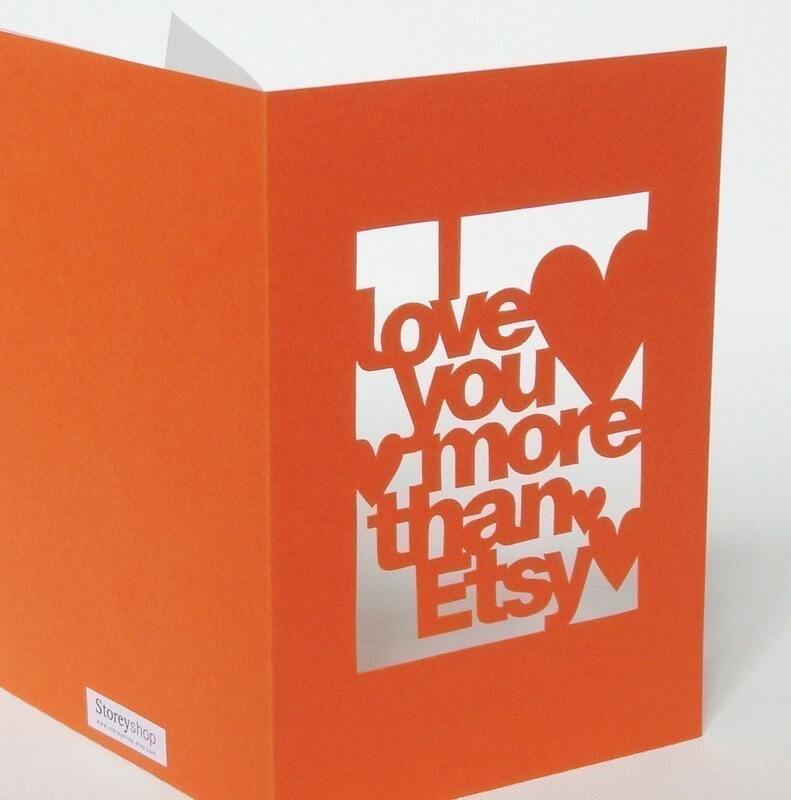 My favorite is the 'I Love You More Than Etsy' Card. My husband would laugh so hard at that b/c he knows how obsessed with all things Etsy I am. I follow the "Storeyshop blog"
I looked for one that said I love you more than coffee, but didn't find it. That would have been tops. I like Hand-Cut I Love My Mum Hand Cut Mother's Day Card. I'd like to see Grandmother cards. My favorite is the card that says "I love you more than ice cream". Now that's the card for me. I follow the Storeyshop blog (and also read it on Google Reader). 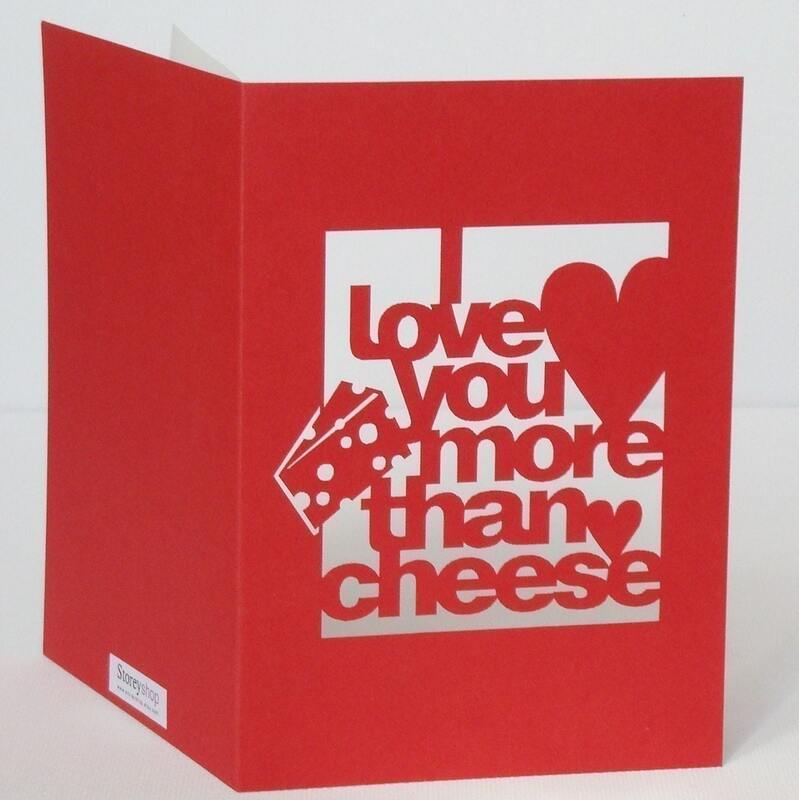 I love the "I love you more than cheese" card - so funny! I'm a new storyshop follower now, too. 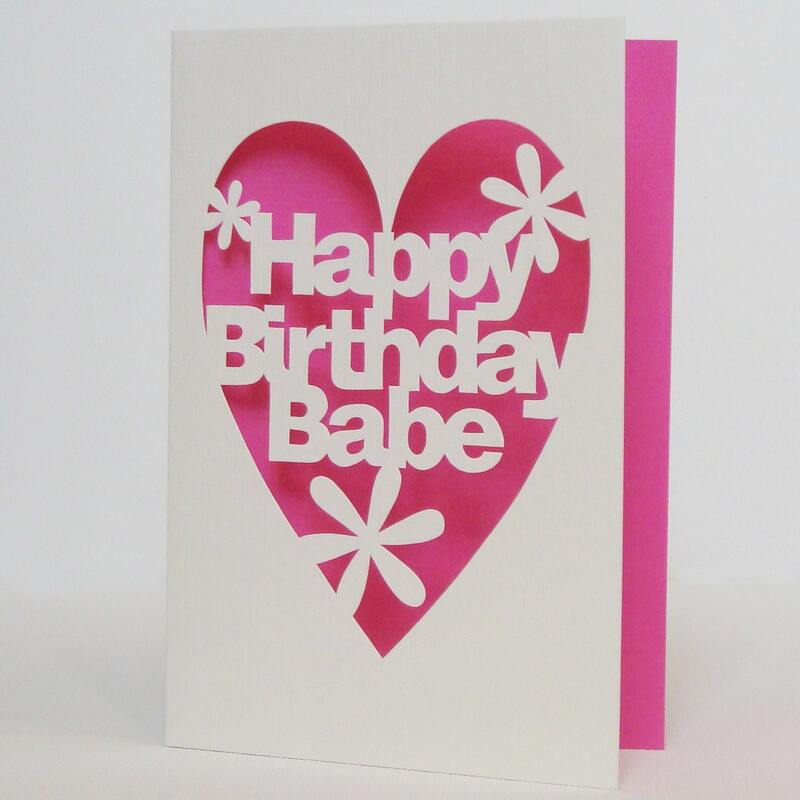 I absolutely love the 'Happy Birthday Handsome' Card, too cute, but what does she use to cut so well?!? The quality is amazing! I follow both of you on twitter and tweeted about this giveaway! my favorite is definitely "i Love You More than etsy"! (didn't taza @ rockstar diaries give one of her cards to her husband that said "I love you more than hamburgers?" Hi! Thank you for introducing me to this shop. The cards are amazing! I love the White and Lime 'Thinking Of You' Card. The color combo is very pretty! I love the "I love you more than" cards! I am a follower of Kate and Oli. I am a follower of storeyshop. I would love to have greek letters for sorority;s and fraternity;s.
My favorite is the yellow and blue get well soon card. 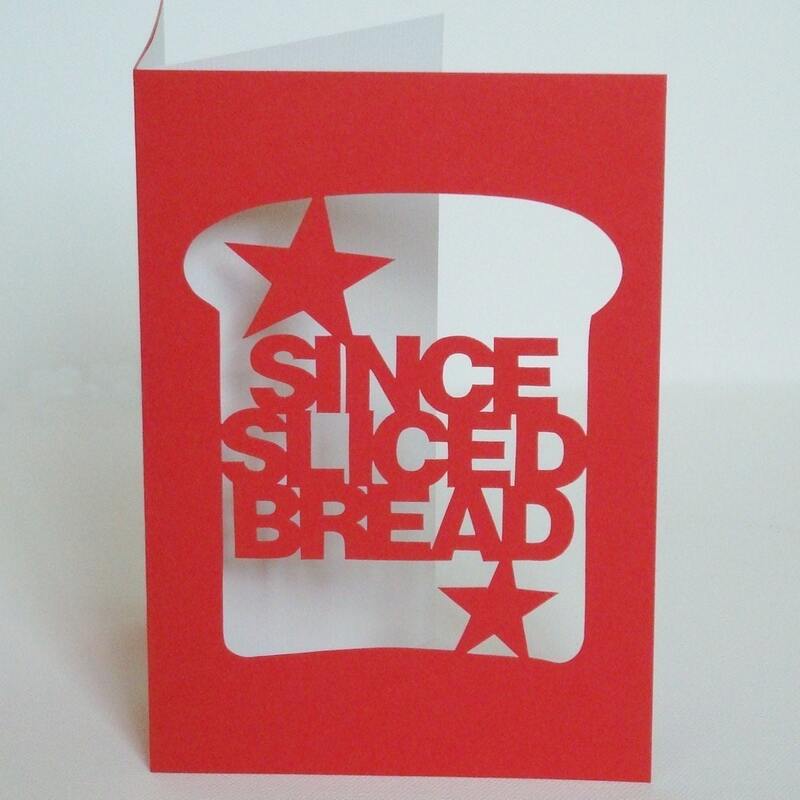 Hand-Cut 'Super' Personalised Card is my fave! I'd love to see one with the sentence "I Love You More Than My Own Life"
i LOVE the White and Lime 'Thinking Of You' Card. heck, i love the whole shop! Would love to see one with an apple with the quote, you are the apple of my eye. 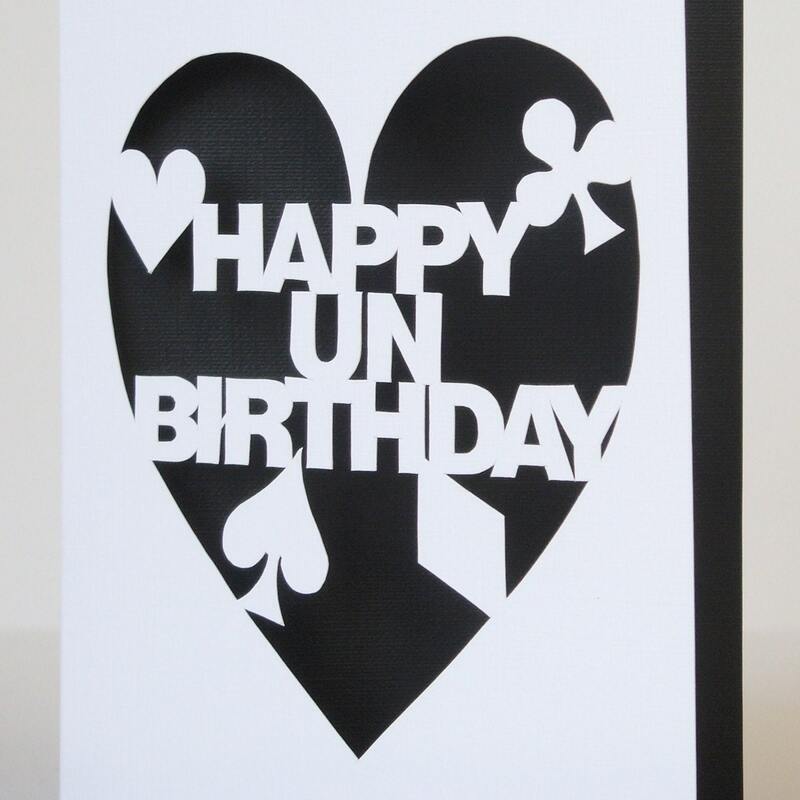 I like the Happy Unbirthday card! Its funny and makes an awesome present!